This photograph and small selection of words, for most, are what will create a first impression of David Freund, who earlier in April released his first major book - Gas Stop - at the age of 79. A selection from Gas Stop was curated by Visual Arts Professor Stephan Apicella-Hitchcock and displayed in the Lipani gallery from late March through the month of April. David and Stephan established a friendship through a shared connection with the esteemed photographer and teacher Gary Metz, which eventually lead to the display of David’s work at Fordham Lincoln Center. When questioned how he went about curating such a work, Stephan smiled, saying “It’s the kind of show you could put up any way and it would work”. When picking up the prints from David, Stephen was told to “have fun sequencing” and that’s exactly what he did. “I took them out of the box, and said this looks good” - so Stephan sequenced the photos as he unpacked them - “not messing with what works” and knowing that “sometimes you have to be smart enough get out of the way... if something works it works”. Stephan’s approach to curating David Freund’s photographs speaks to the level of David’s work. The process took David on a solo cross country road trip, driving more than 40 states over 4 years (1978-82) , the photos he shot acting as his fuel. David shot with a Nikon and Tri-X b/w film, a classic kit of film photography. However Gerhard Steidl, the founder of Steidl, an international publisher , also saw the vision of David’s Gas Stop project. Steidl respected David’s vision, not demanding or interfering, instead working side by side...Gas Stop... is now side by side with other publications by Steidl like Robert Frank’s The Americans. David’s work is meant to interact with both artists and the everyday person. He “wants the viewer to be surprised… to want to turn the page”. To the aspiring photographer, “just get to work and make some prints”. His three pieces of advice “pay attention, be responsible, and cultivate empathy” apply to not only the photographer, but all in the pursuit of “becoming a better human being. That’s the ultimate goal”. For those who can’t get enough political theater this election, there’s a new show at the Ildiko Butler Gallery celebrating election season with movie posters that revel in the world of politics. Some of the posters are iconic, like Robert Redford in The Candidate, or Redford and Dustin Hoffman in All the President’s Men. Warren Beatty makes a couple of appearances as well, once in a poster for the 1998 comedy Bulworth and again in 1974’s The Parallax View. Directors Stanley Kubrick and Robert Altman are there too. The show, “Politics: Movie Images from Posteritati,” was organized by Mark Street, associate professor of visual arts, and runs through Dec. 1. Street said Posteritati is a SoHo Gallery that sometimes lends out its collection exhibitions—as is the case with the show at Fordham. On a purely visual level, the movie posters are one of mass marketing’s cleanest conveyors of information, he said. Brody, David. "Site Specific: Diana Cooper and Lee Boroson at Fordham." Artcritical. Artcritical, 28 Mar. 2017. Web. 29 Mar. 2017. Jorgensen, Lindsay. 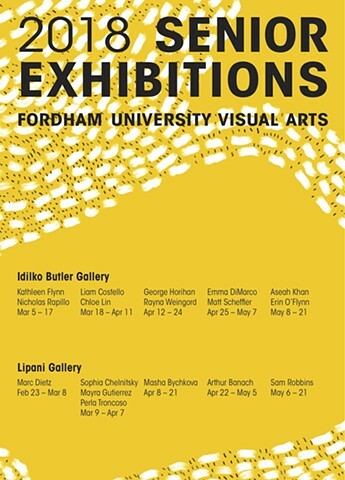 "A New Exhibition at Fordham, Created for Fordham." Fordham Observer. Fordham University, 30 Mar. 2017. Web. 03 Apr. 2017. Press for David Freund's "Gas Stop"
Verel, Patrick. 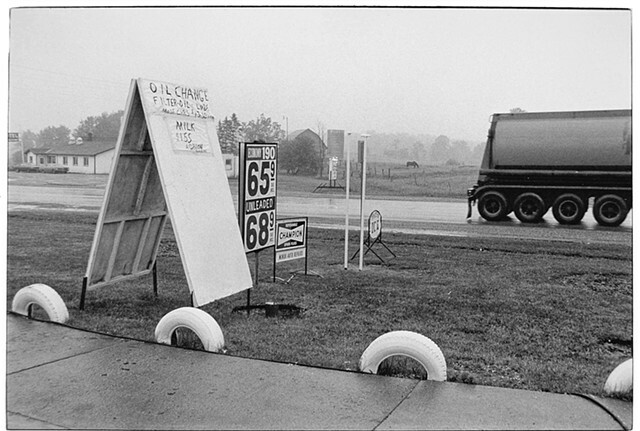 "Photo Exhibit Highlights Bygone Era of Independent Gas Stations." Fordham Newsroom. Fordham University, 08 Mar. 2017. Web. 22 Mar. 2017. "Pull up to the Bumper: Gas Stations across America – in Pictures." The Guardian. Guardian News and Media, 13 Apr. 2017. Web. 13 Apr. 2017. Sadof, Karly Domb. "Perspective: ‘Where You Go to Fill up Your Tank and Shut off Your Brain’: America as Seen at the Pump." The Washington Post. WP Company, 07 Apr. 2017. Web. 16 Apr. 2017. Rafferty, Rebecca. "Modern Landscapes on Display at VSW." City Newspaper. City Newspaper, 26 Jan. 2017. Web. 27 Jan. 2017. Meyers, William. "Three Photography Shows for Labor Day Weekend." WSJ. Wsj.com, 02 Sept. 2016. Web. 06 Sept. 2016. Press for "My Ranching Life"
Stoelker, Tom. "Through a Veteran's Eye." Fordham Newsroom. 28, July 2015. Web. 30 July 2015. Press for "Faculty Spotlight 2015"
Quaking Aspen will travel to SPEOS - Paris London Photographic Institute in 2015. Press for "Living Los Sures: Selections"
Meyers, William. "Northern Scenes, Special Snow Effects." The Wall Street Journal. Dow Jones & Company, 8 Mar. 2014. Web. 25 Apr. 2014. Gunhouse, Carl. "Searching for the Light: Gary Metz, Quaking Aspen: A Lyric Complaint @ Fordham University’s Ildiko Butler Gallery." Searching for the Light: Gary Metz, Quaking Aspen: A Lyric Complaint @ Fordham University’s Ildiko Butler Gallery. N.p., 1 Mar. 2014. Web. 25 Apr. 2014. Mary Carlson takes inspiration from religious iconography, demons, and snakes in her latest exhibition, Beautiful Beast.